AsSceneOnTV makes it a SNAP to capture still pictures from your favorite movies (home, hollywood or Bollywood!). 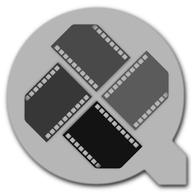 Open any DVD disc (encrypted or NOT) and simply navigate or watch until you see something you like, and then it's a single button click to capture, crop and save in your favorite image format. Forget the mental gymnastics - we do the hard stuff and you just enjoy life. AsSceneOnTV is very easy to use. 1. Insert a DVD disc. 3. Choose Open Disc from the File menu. 4. Navigate using Play/Pause/Rewind/Fast Foward. 5. See a frame you like, click Grab. 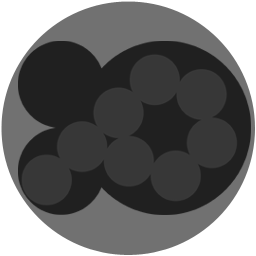 You can also copy frames to the Pasteboard. 6. Default format is JPEG, but you can choose another. 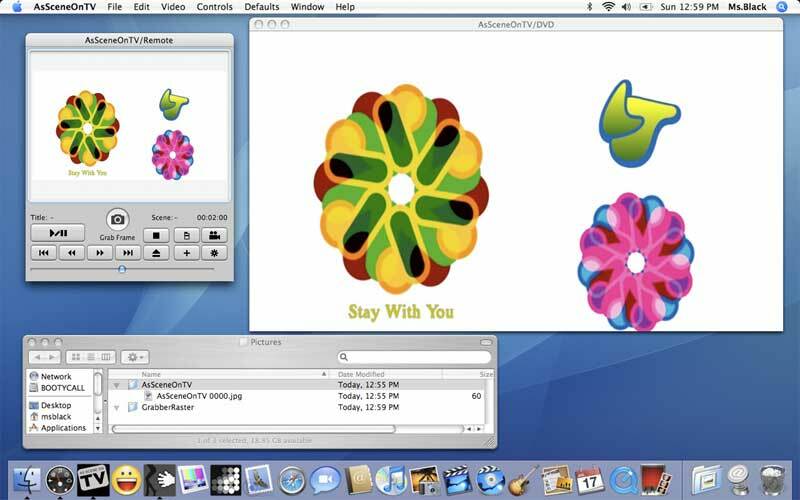 GrabberRaster 1.500 (Released 2008.05.03) is the current version (with screencasting and Leopard fixes). Check the version number of your copy under the Apple menu. You can find the latest download here. AsSceneOnTV 1.005 (Released 2008.08.24) is the current version. AsSceneOnTV has just been released, no tutorials are available yet.